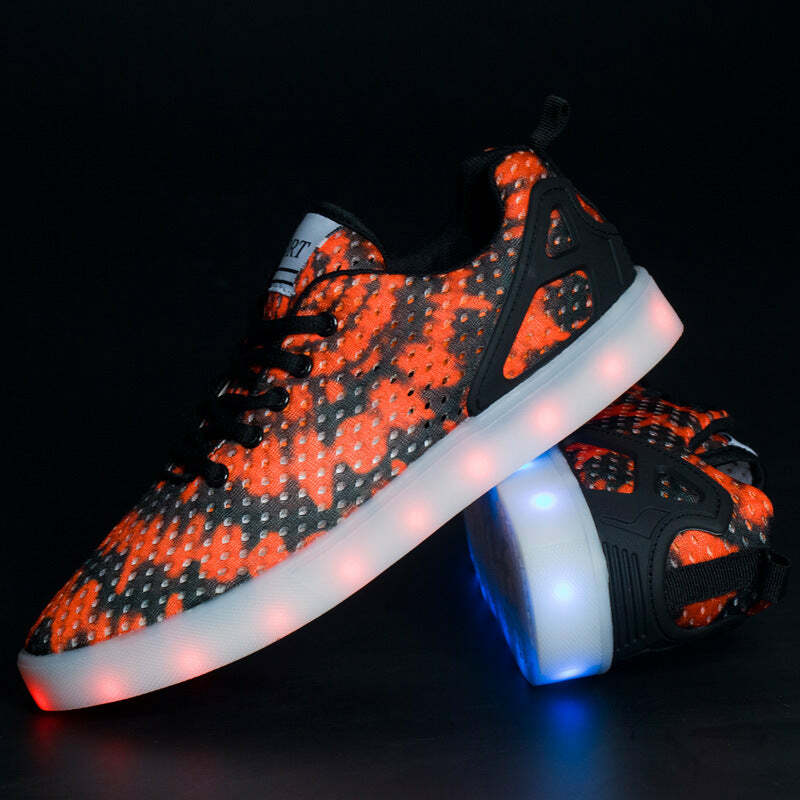 Introducing Superior Quality LED Sneakers Lumy! 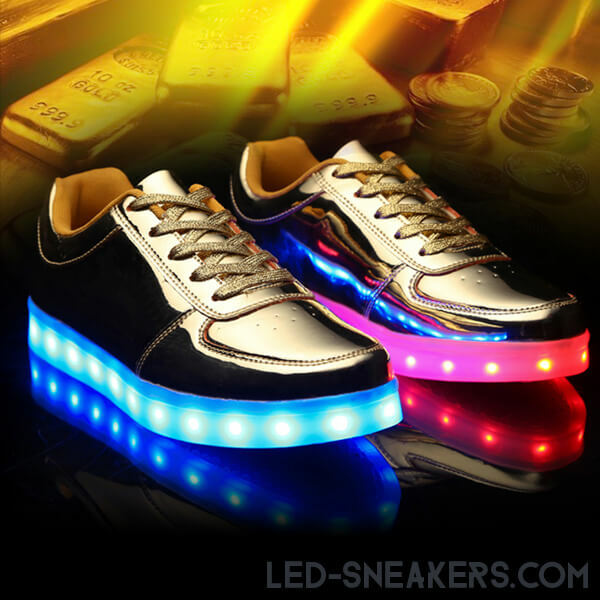 Fashionable, colorful and flashing, this flashing LED shoes pair will fill you with optimism and the power to seize the day! 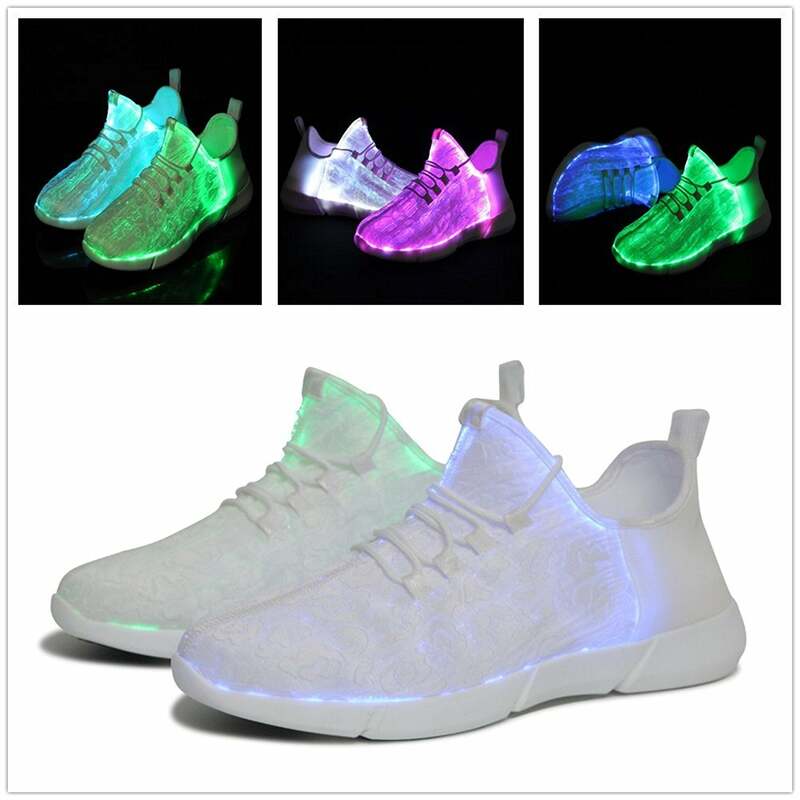 Feel inspired to make the most of your walking, hiking or dancing with the #1 pair of flash shoes made with Optical Fiber for guaranteed longevity. 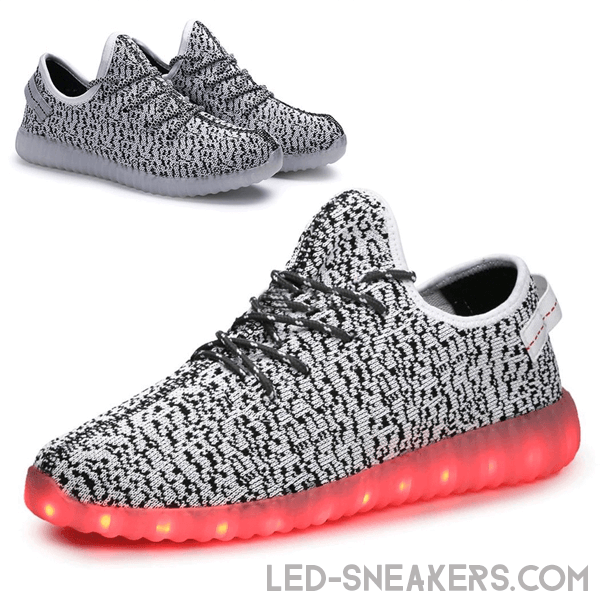 They will easily match any casual outfit, making your wardrobe centerpiece for many years to come! 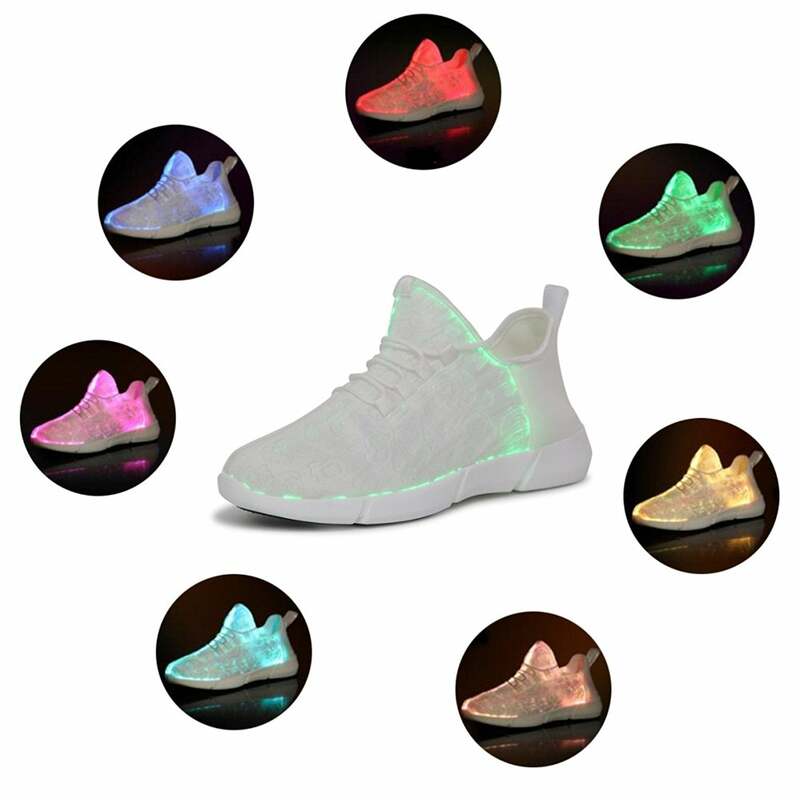 The Perfect Glow Shoes For Women & Kids! 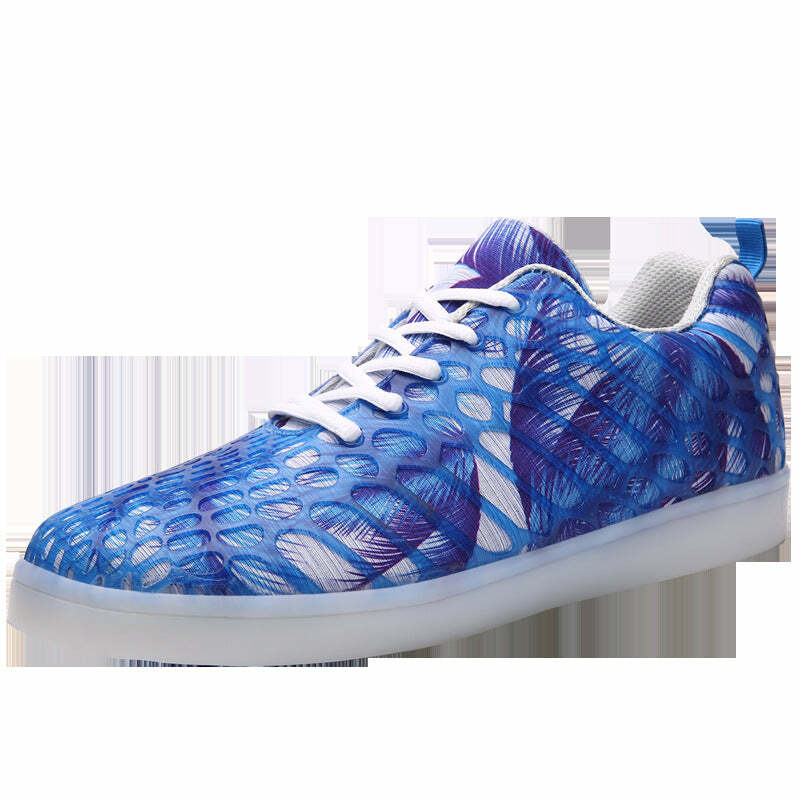 A MUST-HAVE accessory for imaginative women of all ages, these flash women’s shoes will add a touch of originality to your trendy looks! 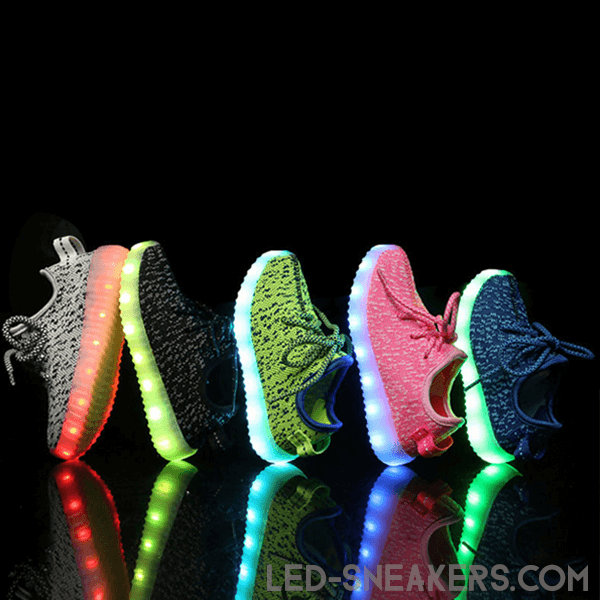 Easily seen from a distance, they will illuminate your kid’s steps at night, so that you keep eye-contact with your little adventurer at all times. 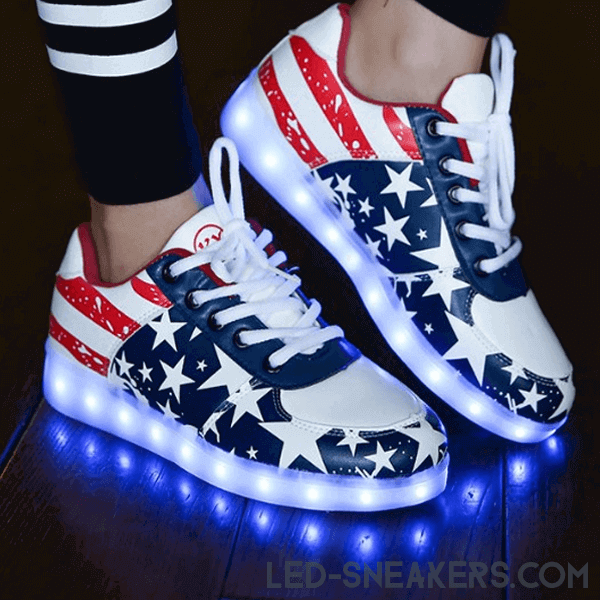 A Top Quality Package! 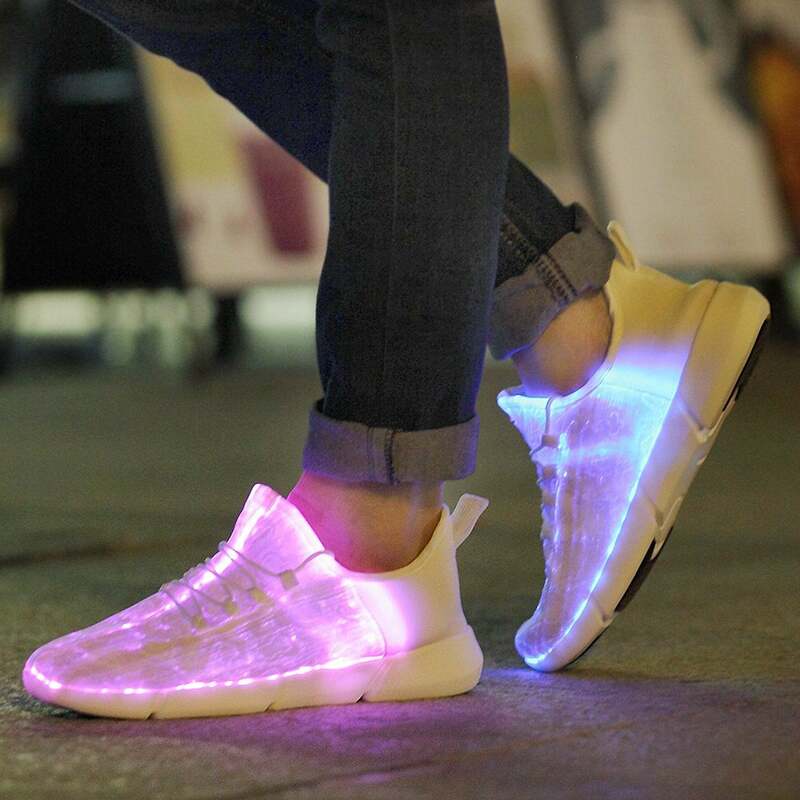 Fully charge both shoes in 2-3 hours! 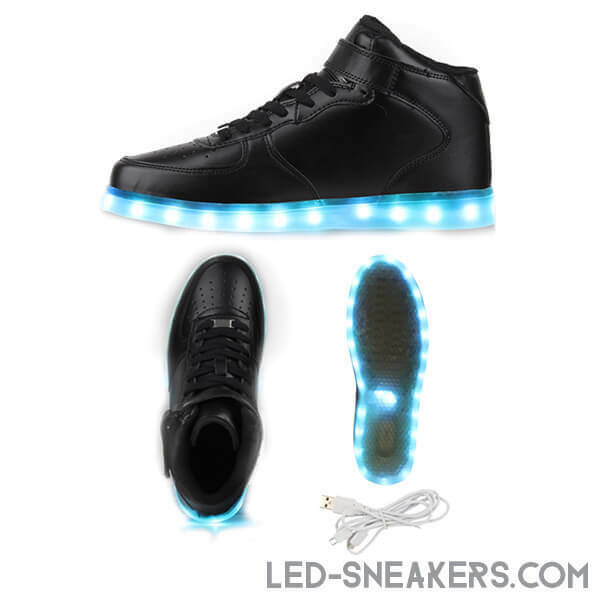 No complicated wiring, no short circuits, just impressive luminous steps for up to 9 hours! 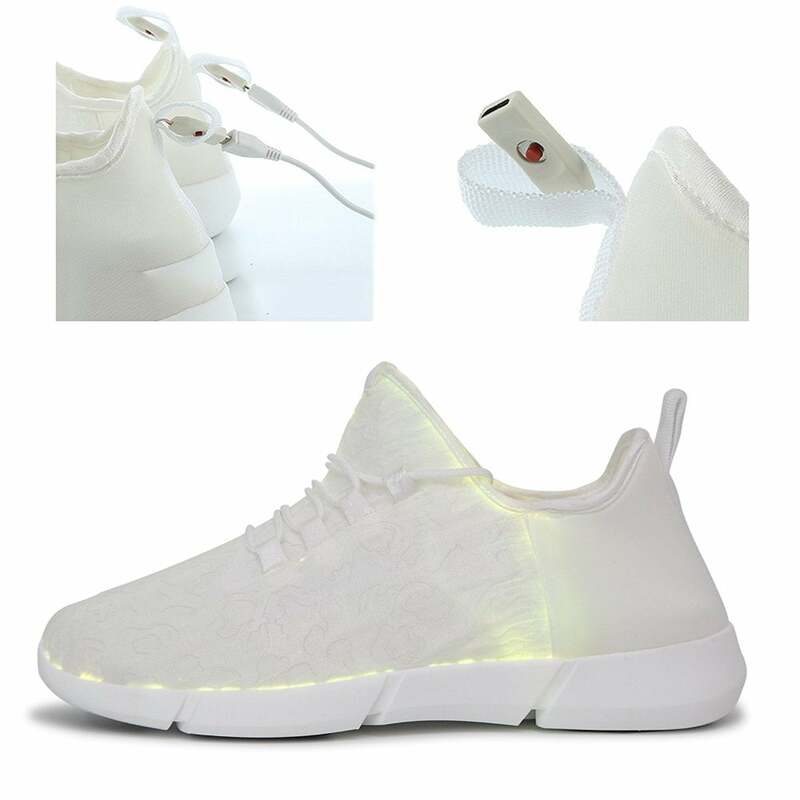 QUALITY PACKAGING with a CHARGING CABLE for your convenience! 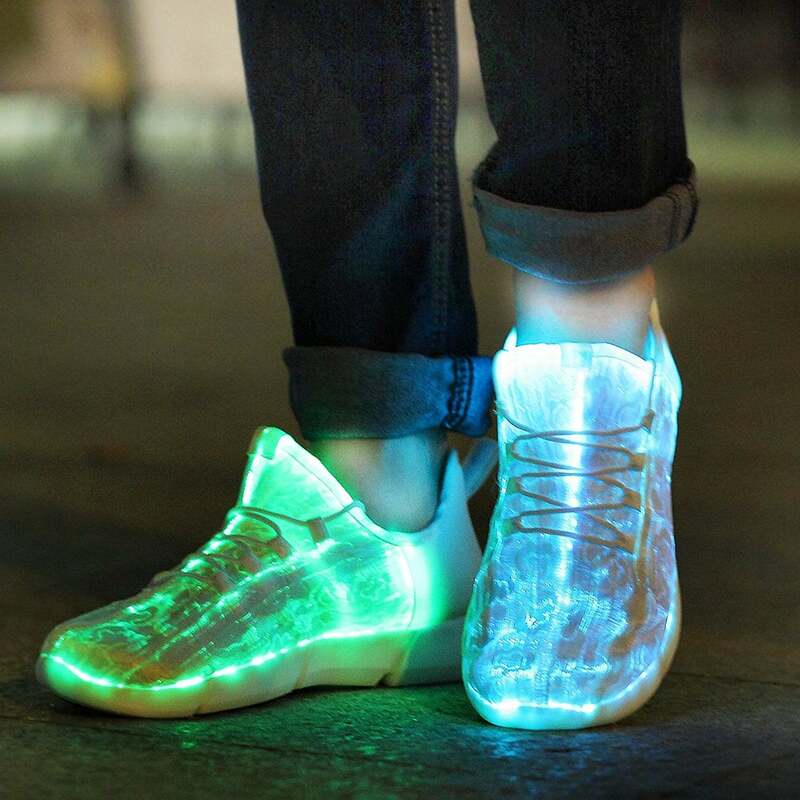 Gently scrub dirt and dust off the surface and avoid immersing in water to enjoy them fresh like brand new for many, many years! The Best Gift! 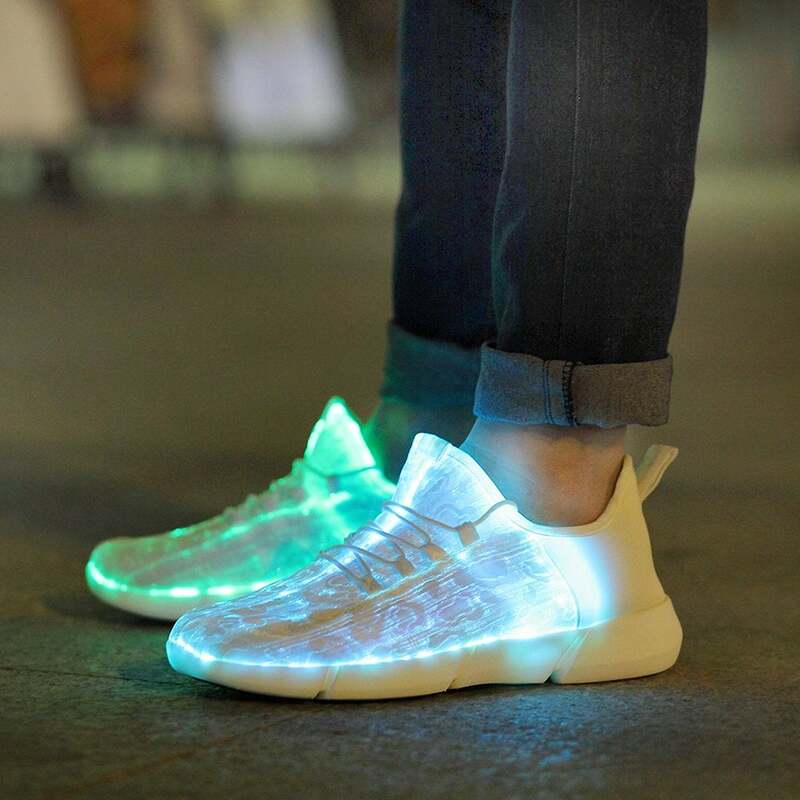 This novelty has a BREATHABLE material and SOFT, COMFORTABLE, WATERPROOF rubber soles make this pair of glow-in-the-dark shoes make an amazing birthday party, Christmas, Thanksgiving, Performance or Valentine’s gift!